Yep, it’s a bonsai chrysanthemum. I saw this prize specimen at the Yasukuni Shrine last weekend. It’s the wickedly competitive chrysanthemum exhibiting season in Japan right now, and shrines all over Tokyo have erected little huts filled with obsessively nurtured flowers. Not only do the un-bonsaied varieties have to be perfectly symmetrical, with their blooms and leaves blemish-free, there have to be THREE perfect plants per pot, they all have to be the same height, and they all have to bloom at exactly the same time. Somewhere there must be volumes of arcana dealing with how to achieve this, because there are so many perfect entries to these competitions every November. 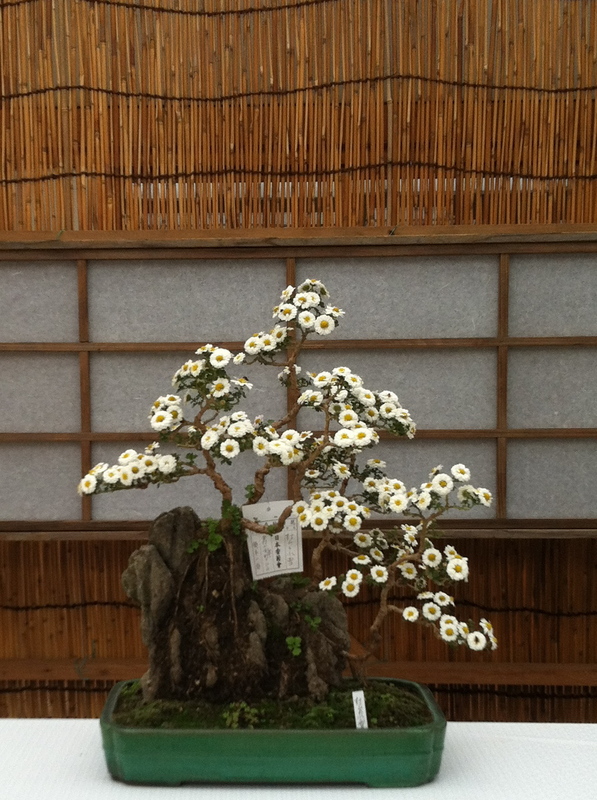 The more common style of bonsai chrysanthemum. This one was at the Meiji shrine. 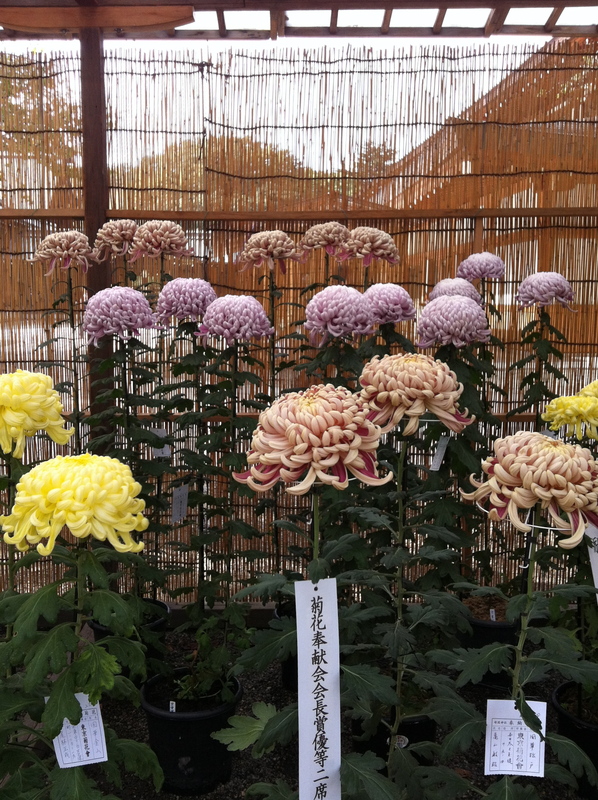 Nearly every big shrine (and some temples) host chrysanthemum competitions in the month of November. 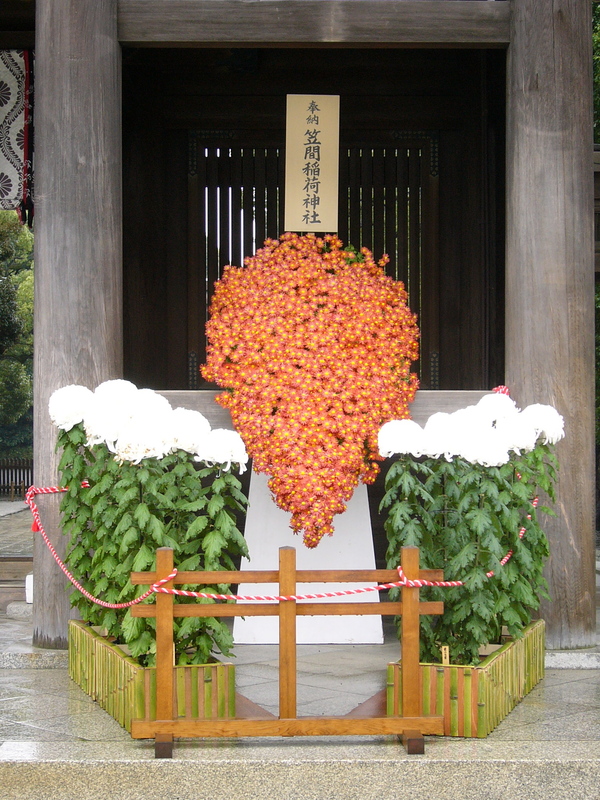 If you’d like to see the chrysanthemums the next time you’re in Tokyo, directions and maps to the Yushima Tenjin Shrine, Kameido Shrine, Meiji Shrine, Yasukuni Shrine, Shinjuku Gyouen Garden and Senso-ji Temple are on my website, The Tokyo Guide I Wish I’d Had. CommunityCare reblogged this on Community Care ::: Affordable Therapy Collect. 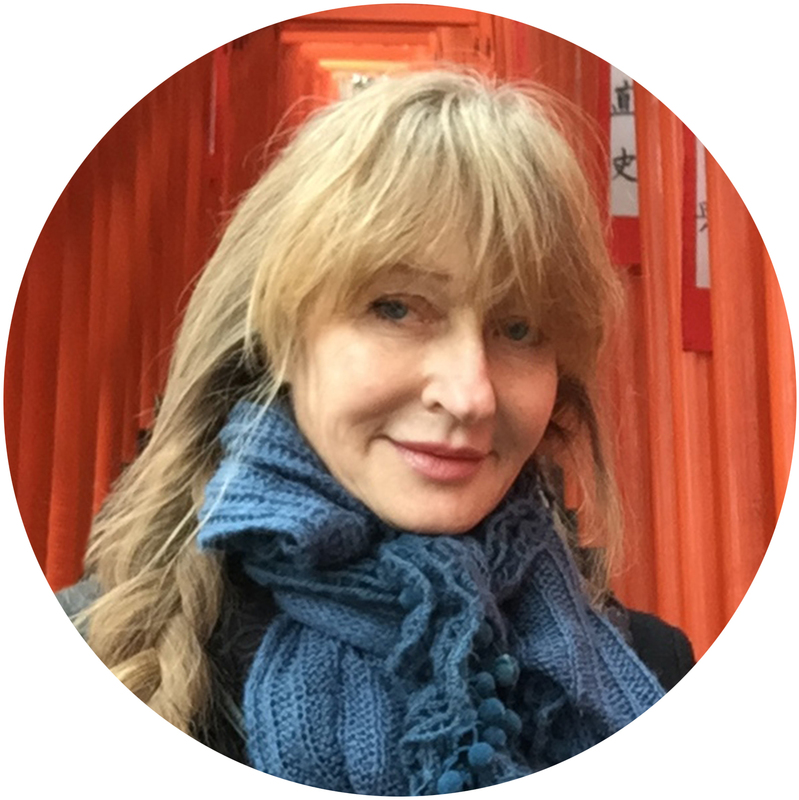 Pingback: Yasukuni Shrine | Let's Go To Tokyo!